Picture taken on my cell phone. 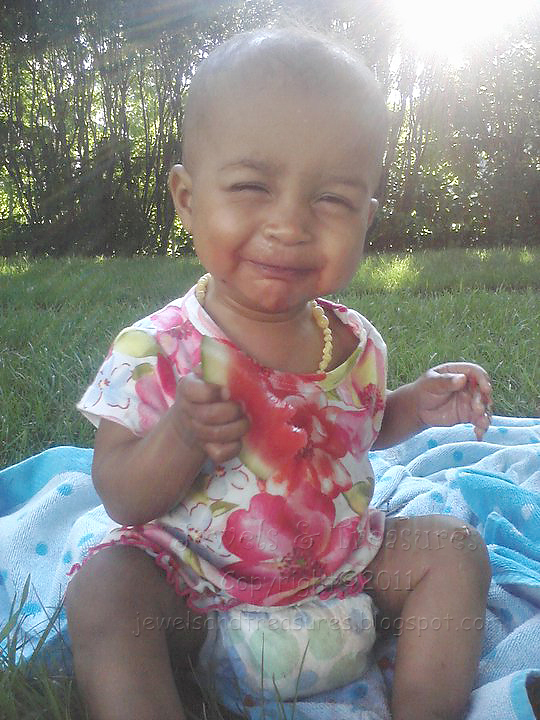 Also, it's not a look of disgust with her watermelon, she actually loved it! ha ha at first i thought she was making a sour face! Watermelon is one of my favorite summer treats!